We host two national startup competitions annually, a University Startup World Cup with teams from all over the world and Scandinavia’s largest Startup Mentors program for university students powered by Hempel Foundation. Early 2018 we have launched the program Nordic HealthTech Talents with the support of Novo Nordisk Foundation. Besides that we're always trying to be in the loop and cooperate with companies and stakeholders if we believe it supports our mission of inspiring and showcasing the university students. 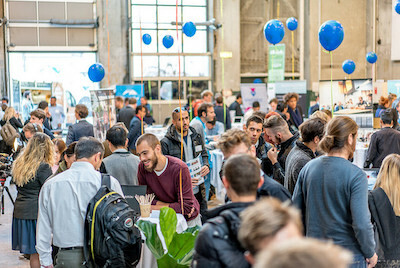 Venture Cup uses its experience, knowledge and network to promote Danish universities and entrepreneurship worldwide. In this way, Venture Cup offers Danish students and universities a benchmarking tool, inspiration, and global experience. We aim at providing support to entrepreneurial students by offering mentoring, inspiration and services. 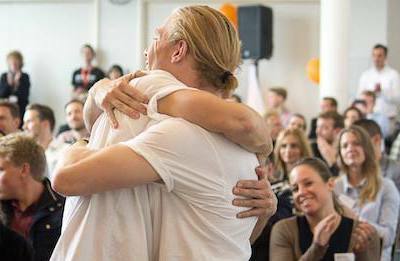 Venture Cup hosts two national competitions to inspire and identify entrepreneurial talents from the Danish universities. We also organise an international competition to showcase the best university startups in the world. We provide a development program consisting of our Startup Mentors. Our organisation represents a primary source of inspiration through educating and conveying knowledge to promote entrepreneurship. Venture Cup develops partnerships and projects across universities, sectors and countries to facilitate knowledge sharing. Bringing together the academic world and the business community. An organization fueled by creative minds and lots of coffee. Mentors and judges from diverse backgrounds help by sharing their expertise with the startup ecosystem. We always strive to encourage innovation in Nordic companies. Our first focus is to lend a helping hand for creative minds to nourish innovation.